Before I begin the analysis I would like to draw the attention of the economist and financial world across the globe towards this point that Trade war by the US is based on product and not on the manufacturer.To support repatriation of profits which is lying outside of US is a herculean task for the US economy despite Tax rates were slashed. We all know that low cost of production and shift of consumer market over the last 2 decades have resulted in a flow of jobs and capital out of US. For decades, U.S. multinationals have shifted profits abroad and deferred their taxes on them. Moody's estimated in November that U.S. companies were holding about $1.4 trillion in cash offshore. Forget about the number of billions of profits lying outside the US, the important point is that will lowering tax rates would bring back this capital back to the US. No. Since the broomstick even used in American Houses are made by American companies producing in China. In 1965, manufacturing accounted for 53 percent of the economy. By 1988 it only accounted for 39 percent, and in 2004, it accounted for just 9 percent. With the birth of the North American Free Trade Agreement in 1994, Mexico became a major recipient of outsourced U.S. manufacturing jobs. For example, Boeing 20 years ago, most of its aircraft parts were manufactured domestically, while today, sadly, up to “70 percent of the airframe of the company’s next-generation 787 Dreamliner will be made overseas, including key parts such as the fuselage and wings.” Even the engine will be produced outside the U.S., while workers inside the U.S. are left with layoffs. Now, this was history which we all know. Now, what we need to know how strong this trade war game will go ahead. It is a strong challenge given by the US to China as US wants manufacturing to shift to the US and which leads to repatriate the capital lying outside of US. The trade war is based on product and not on the manufacturer. US ban means getting back the US-based manufacturing companies back to its own country. This is the grey area on which Trump has emphasized indirectly. All he wants is that his offshore funds to come back to the US and then buy its bonds to fund its budget and fiscal deficit. Another prime reason to get into a war with China is that US companies based in China will soon get access over the next decade or before that to sell its goods through the silk route which is being developed by China connecting many countries. Once this happens hardly any US based company manufacturing in China will ever come back to its home country. Silk route will open up huge growth for China as a whole economy and would make its largest economy in the world in the coming days. Hence trade war would put brakes on the Chinese government income through taxes etc earned from these US-based companies operating in China. Getting the offshore money back followed with getting the business pulled out of China is the key factor being strategized by the US economy. Further is China gets the silk route developed US exports from their own country would hardly find buyers and would find significant blackout for its own economy. The trade war is just to get the manufacturing out of China and get back the offshore funds back to its own country to buy bonds to manage the deficit. We all know that for long-term sustainable economic growth through technological advancements, entrepreneurship. and innovation is the two lifeblood of the economy.Japan an economy which has struggled every time is now on the verge of radical change which is going to remove all the stains of its economic failures. The economy needs no introduction but its upcoming growth is going to surprise the global economy. Till yesterday every citizen was looking ahead for government jobs in Japan. They studied hard to get government job which is secured and used to be known as prestigious one. Still, it’s being considered as a prestigious job but the next generation is moving away from these jobs. Blessings of technology advancement and internet have changed the landscape of the next generation outlook towards the job market. The next generation of Japanese are risk-taking and they have the courage to go beyond the traditional employment atmosphere. Change in the long-term behavioral segment of any economy is the key path to identify opportunities for growth as well as to identify the failure points. Entrepreneurship is being promoted in Japanese colleges. The insect of innovation has bitten the young generation and now it’s the driving the culture of entrepreneurship within Japan. Well paid jobs of Banking and management are being left by the new generation of Japanese and they are joining the club on innovation and entrepreneurship. Japan employment style has also changed. Companies now hire more temporary employees, and those people are more likely to start companies to gain a better sense of security than being a temporary employee. Hence entrepreneurship is just about to boom out in Japan. Bridging the gap in various sectors like healthcare, Agritech, Internet of Things and AI are driving around 80% of the innovation market and funding is also happening to that tune only. Universities of Tokyo have taken new initiatives to promote entrepreneurship. These universities are not focusing towards jobs anymore; they are driving innovation-based entrepreneurship. Just like “Silicon Valley” they have created “Hongo Valley” which is now the birth land of a new type of social-based entrepreneurship. Large size incubators are being created in Japan for driving innovation in bridging the gap between the social aspects. The huge inflow of capital will be attracted to Japan going ahead followed with stupendous technological penetration within the economy. Social gaps have been a huge opportunity for the growth of entrepreneurship within the economy. Japan is just working on these steps. Over the next 3 to 5 years Japan will be a big hub for innovation promoting social entrepreneurship and creating a new generation of exponential growth. Hongo Valley will be a revolution for the next generation of Japanese. Time is just about to prove the same. The only glitch the country faces had faced previously is that early sell-off of companies under entrepreneurship as they lack English language and hence they could not take their innovation to the global platform. But this problem has been resolved since the next generation has good English language training and they are well capable to take it to the world. This leads to a significant change for the Japanese economy in the coming days. Global recession could be survived and avoided if social gaps are being filled up with innovation and technological advancements. Ease of doing business and internet of things is changing the landscape of the Japanese economy going ahead. At the same time cultural risk aversion, funding at an inflexible labor market remain as challenges. Consultants across the globe should look towards Japan as the startup culture was just born in Japan. Nobody knows how to make a startup in the current situation. The regulatory aspect of the Japanese economy towards entrepreneurship is changing which gives the huge potential for newcomers to up and start their innovation culture. Opportunity for investors is that it is easier for companies in software development, electronic commerce, and biotech to get funding, but investors are still conservative in other sectors. Hence investors could look beyond these segments to invest and grow the wealth from social entrepreneurship in Japan. Japan economy will be an attractive point for the global economy going ahead. Hongo Valley is all set to make a change. Donald Trump tax cut down and massive expenditure plan for infrastructure leads to an significant growth of fiscal deficit for the US economy over the next decade. The things might be good for the short term for the US equity markets to dance on these tunes but the music will soon get into a dumb silence when the aftershocks of this massive announcement come into play. The tax law is estimated to add more than $1 trillion to deficits over the next 10 years. Congressional Budget Office's (CBO) readings the after the tax bill, we projected that the deficit would reach $983 billion in FY 2019 and $1.05 trillion in FY 2020. Now the CR will increase the deficit further to $1 trillion in 2019 and $1.06 trillion in 2020. In between the Treasury, Borrowing Advisory Committee expects the federal government will need to borrow $955 billion in the fiscal year 2018, which ends on September 30. The story does not end here. The US Congress then delayed three taxes under Obamacare, which would have raised revenue to the tune of $31 billion. Further, there are several times Hurricanes which keeps attacking the US states which is a significant cost to the US economy. According to CBO estimation, sequester relief will lift the discretionary caps by $240 billion over the next two years disaster relief totals $81 billion, and tax extenders are revived through 2018, the deficit would reach $1.12 trillion in 2019 and $1.13 trillion in 2020. It is quite possible that there will be other costs on top of that from larger sequester or disaster relief and/or other policies that are lumped into a budget deal. How this massive deficits and borrowing plans would be financed? Only through Bonds which will be sold by the US government. 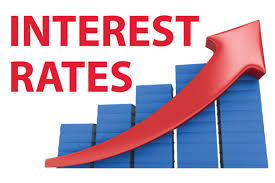 Now when these bonds will be sold the buyers will demand more interest rates as other financial products and other countries bonds are more attractive than the US. Hence more interest rates will attract these buyers. Now trade war has already begun and China has reacted well by dumping the US treasuries. 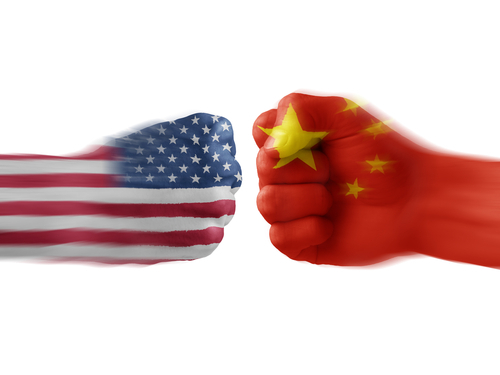 China's holdings of U.S. Treasuries fell to 1.1682 trillion U.S. dollars in January, down from 1.1849 trillion dollars in December, reaching the lowest level since July, at the end of 2017, foreign governments owned $4.03 trillion or nearly 29 percent of the $14.47 trillion in Treasury securities outstanding. China and Japan, two major U.S. trading partners, are also the top two foreign holders of Treasuries with combined holdings of $2.25 trillion in December. Now with trade war, foreign buyers may not be interested to buy these bonds. The truth as it seems is that the US doesn’t want foreign buyers of its treasuries. The US do not want some other country to control its treasuries and dollar. Then who will buy them? US have reduced the tax on repatriation of profits from overseas countries to back home (US). The US wants its own people to buy the bonds and hold them. The reason behind such an action is that the US want complete freedom of its financial products from foreign hands so that if there is another financial crisis its assets are protected at home. US stocks will be facing hard times as increased borrowing cost followed with increased inflation will eat up the profits within the US, whereas the tax breaks will not be so much benefit to the corporate. Individuals will be more under-more saving zone rather going ahead for consumption. A decade the US preached borrow and spend and now its teaching saves tax and spend but don’t save. The recession has taught US people to save now. It’s a behavioral finance getting changed. US markets will be flooded with bonds and too many bonds will make the segment less attractive. Quality of papers and depth of bailout in case of default needs to be analyzed before investing. The next collapse of the world market might come from Bond and Debt Market segment. The EASTERN REGION COUNCIL of ICWAI 84 HARISH MUKHERJEE ROAD, will remain a special place behind making this historic moment for the Cost Accountancy Profession undergoing through its name change into ICMAI from ICAI/ICWAI. This recognition did not come so easily. There are stories and key people who fought for the same just like the ones who started the fire of India’s Independence in 1857. Today I will share one of the historic stories of few fighters for the profession who started this name change and recognition of Management Accountant. Before I begin a big thanks to the Youngest President of the Institute Mr. Sanjay Gupta for his contribution to the profession. The journey started long but the real shape of the fire came for the small room on the 3rd floor of the Eastern Region of ICWAI next to the library (It’s no longer now as it has been dismantled) used to be the ammunition room for the fighting for the rights of the profession and it’s for its recognition. Finally after decade fight the institute got the recognition of the Management Accountant - ICMAI. I was fortunate to be a part of the research wing carried out by Eastern Region and worked under the guidance of Mr. Siddhratha Sen the Ex Director of ICWAI Research wing.I have written many research insights and articles favoring the recognition as Management Accountant. The small room on the third floor of the Eastern Region of ICWAI ( 84 Harish Mukherjee Road) was the room which carried out many initiatives to get the recognition of the profession as Management Accountant. Under the Guidance of the Chairman Mr. Kali Kinkar Sarkar I don’t remember the year 1st time region came up with forming a Research Wing for the professional development of ICWAI. It was not an easy task to form that wing since rivals within the house never wanted the profession to grow. The EX Senior Director of Research of ICWAI Mr. Siddhartha Sen was appointed as the key person to carry out the research and to continue his fight which he carried out which he was doing under the Key Position as a Director of Research of ICWAI. Mr. Siddhartha Sen Just retired in 2008 and was appointed immediately by the Eastern Region to carry out the research initiatives. I was fortunate to work under him for more than 2 years before the curtains came down. Mr. Siddhartha Sen ,Mr. KaliKinkar Sarkar , Dr. Sanjiban Bandopadhya, Mr. Shomnath Mukherjee, Mr. Mritunjay Acharjee and few more whom I don’t recollect their names currently, carried out extensive fight for the getting the recognition for Management Accountant for the profession. These people wrote many articles and many research insights to prove the society, government, various Ministries of the government about the core values and importance of the profession and its role behind social development. The fought for getting the recognition of Management Accountant. When the name of the Institute was changed we still fought for the management accountant name inclusion. These people did not look after their families as they traveled extensively to various ministries to give representation of our rights and prove about our abilities. The brainstormed, developed new insights and kept the government aware of the same. Thousands of Hours and Thousands of memos, research insights, and representation have been made by various council members for getting this recognition. But the key person who started the fight should not be forgotten India’s independence journey began from 1857 which should not forgotten in the history of Indian economy. In similar fashion all these people should not be forgotten for starting the journey and passing the baton to the current council members. Mr. Siddhartha Sen is no more, many of the council members of that time are in longer in the council of today but their hard work, their fights, their presentation and deep love for the profession finally got the Institute name to be recognized as ICMAI. All these said members played pivotal role for getting the various Ministries understand the key role of the profession and how its helps Indian economy to grow in the long run. None of these people were on the Dias on 16th and 17th March 2018 to hear the same in live but all these warriors needs great felicitation for the fight on getting this recognition as Management Accountants. That research wing got closed up but the fire of recognition was kept alive by all these council members past as well as presents to get this name change and recognition finally being achieved. I am thankful that I was a part of the research wing carried out by Eastern Region and worked under the guidance of Mr. Siddhratha Sen the Ex Director of ICWAI Research wing. His acumen and his depth of knowledge is hard to be challenged even after his death. All those members whose name I mentioned above are equally knowledgeable and capable in old bones to fight for the rights of the profession. Time may change but history remains unchanged as once its written it cannot be erased. Many new members will be try to take the credit of the same but we need to give credit to the Freedom Fighters of India who started the fire in 1857. In similar fashion we need to give credit and recognition to these council members who started the fight during that time. Crude prices will again fall and would benefit the Importing countries going ahead. The price will fall will not emanate now but will be around 2nd half of CY-2019. The new technology is changing the culture of crude production.The world will soon be flooded with crude oil and US will now gobble up Russia and other countries that are producing crude. In February, the International Energy Agency predicted that U.S. shale output could meet nearly all new global demand. Funding of terrorism has been used from the selling of crude and the world has numerous examples in hand supporting the same. It's been found that after fracking technology US have come with another advanced level of crude oil production and in coming years the markets are going to be flooded. Shale production is just going to grow by leaps and bounds as the new production technology catches string grip of the US crude production.U.S. national interest right now is all about increasing domestic energy sources. Cube Development is the new technology being used for crude production by the US. Its 3-dimensional” technique called cube development. 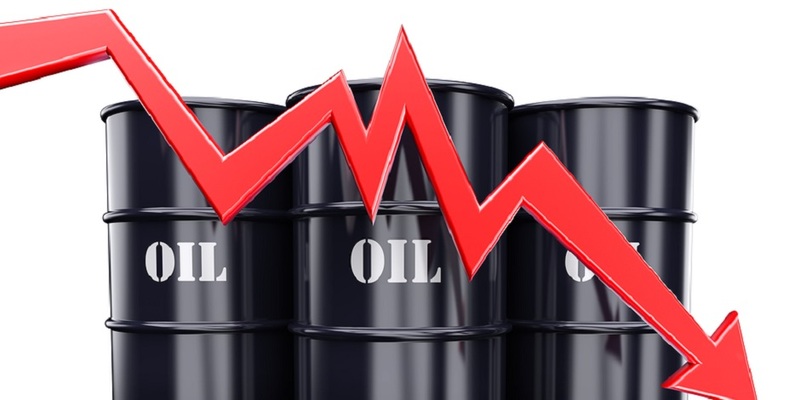 The average cost of production of crude will be falling down and less working capital would be required which enhances the prospects for the oil producers. Under the cube development, in which a company drills about 20 wells from a single wellpad, extends in every direction. Its prime aim is of extracting oil and gas from the multiple layers of the Permian, rather than each well targeting as an individual shale layer. The driller is accessing the entire three-dimensional “cube” beneath the surface, rather than just the hydrocarbon resources immediately around the individual wells. The largest gas producer in the US country is drilling as many as 30 to 40 gas wells per wellpad, with laterals extending as long as 4 miles in every direction. What does this mean for the Industry? It means that it produces massive crude as a single cost which results in the US to be a future dominating country in term of crude production. The cube process could accelerate a drilling boom that’s already helped push US production past an historic 10mn bpd, rewriting the rules of global energy markets along the way. More production leads to more price fall but as low cost of production rules this cube process, the revenue would grow significantly even from low prices but it’s a threat to the other producing countries. Cube will also lead to consolidation of the industry in the long run as technology would lead to change in employment pattern and hence more cost-cutting and more profits would jump. Economies of scale might not be achievable but the dominance of Russia and OPEC would be reduced. Importing countries would benefit again, countries like India would be again is sweet pot but not earlier 2019 end. The biggest thing to watch out is that how much more OPEC could keep the production low and how much more they can suffer. The future markets will be entering into a volatile phase after the crude production from US increases. Crude will soon witness short term triggers of volatility followed with prices driven by production levels. Technology is changing the scope of crude production but at the same time countries like Russia and OPEC are spending less on technology and hence they are going to witness more burn of cash compared to a low cost of production. Don’t forget that low crude prices helped India to manage its fiscal condition and improve inflation levels. Well, the History is all set again to roll over. Cube is all set to revolutionize the Production system.